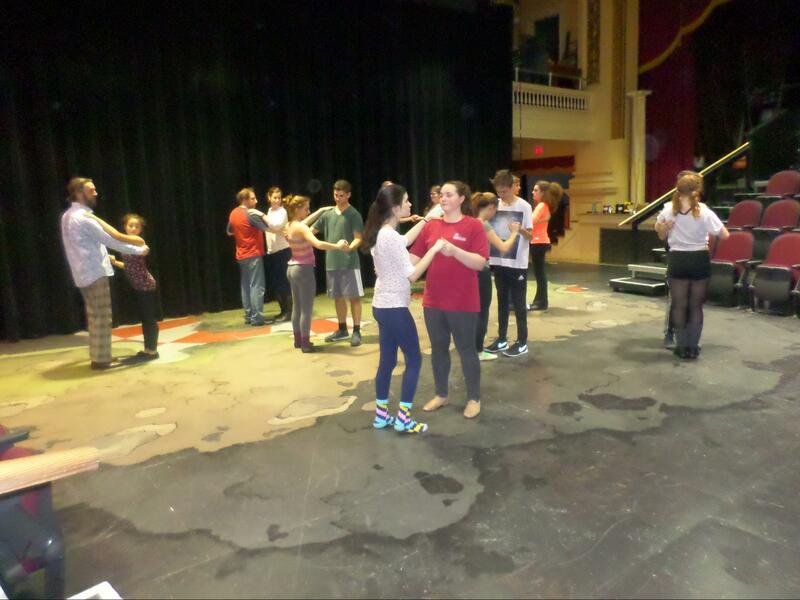 On Tuesday, March 15th, twelve students and four adult cast members of Lost Nation Theater’s upcoming show, Hairspray, were gathered in LNT’s staging space. 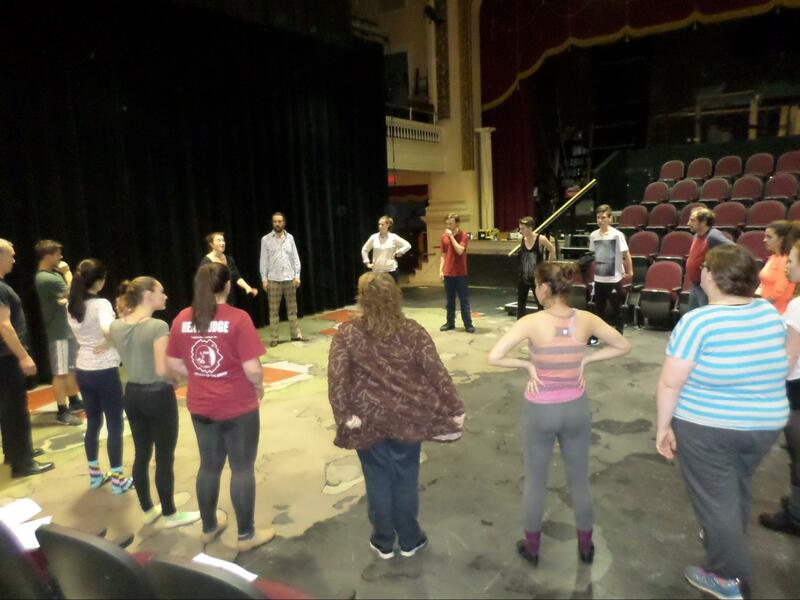 Tuesday, March 15, was the first day of “two weeks of prep workshops to build skills and provide context for the show,” said Director Kathleen Keenan in an email. 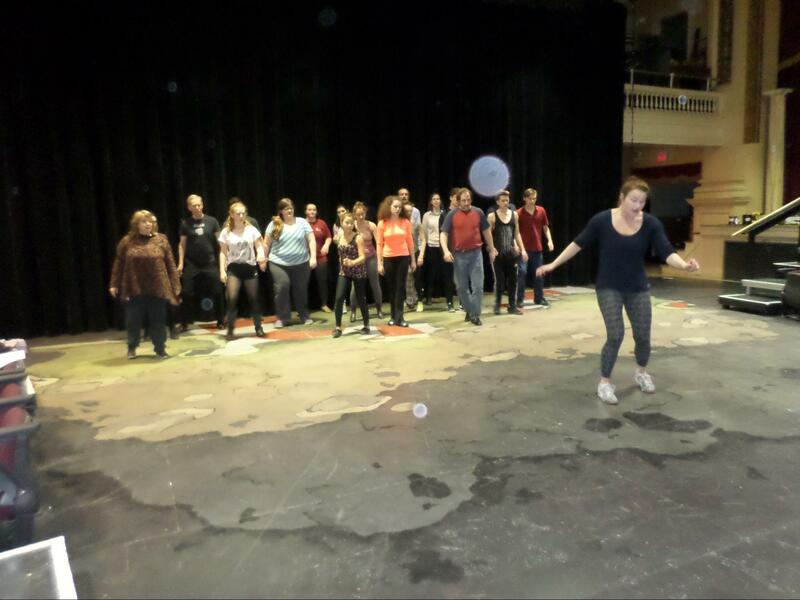 The workshop started with an introductory circle, then choreographer Taryn Noelle led the group in a warm-up. Though the vast majority of the crowd was high-school-aged, the group was very focused and attentive. “I’m scared I’m gonna kick someone!” said U32 sophomore Libby Belitsos. The group, although new to Noelle’s style and each other, had the concentration and determination of an exemplary cast. Hairspray; a big, “irresistibly upbeat musical” about unexpected love, acceptance, and standing up for others, will be on the LNT stage in the coming months. Matthew Grant Winston, age 56, confessed that dancing, in contrast, will be a challenge. “Dancing is difficult for me, so I hope by the time we get this thing up that I’m actually looking like a pretty coherent dancer. I’m more than double everybody’s ages here, except for the adults, so I’ve got a long way to catch up on that,” says Winston. Although, he is looking forward to being in shape, he said with a laugh. Altan Cross, age 17, expressed similar concerns regarding dancing. “It’s going to be really challenging, because- I mean, it’s crazy fun, but it’s also crazy fast.” “Hairspray is one of my favorite tracks of any Broadway show; the music is so fun to sing,” he added. Spaulding junior Autumn has performed in Lost Nation Theater’s Youth shows since she was 8 years old, so she is thrilled to be working on a mainstage musical, particularly one of her favorites. Gabriella, a sophomore from Sharon Academy, said she heard about auditions for Hairspray through friends living in the Montpelier area. This, she added, is her first musical ever, so she’s excited to work with new people. “The show asks us to think about and be aware of connection – and I find that an exciting place to be… [It’s] about yearning, about dreams, about aspiring. It’s human – full of falling in love, rejection, overcoming obstacles,” Keenan said. 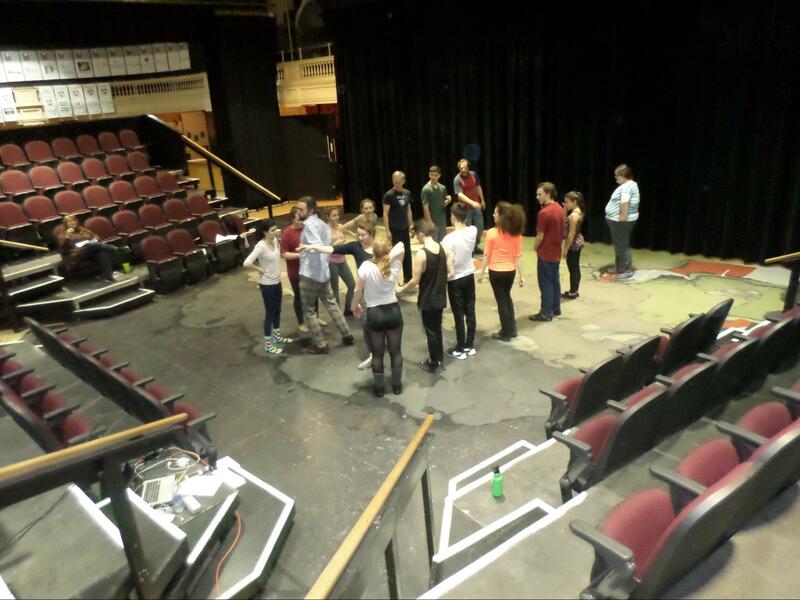 Hairspray will feature actors from New York City in lead roles, with Vermont students and professionals in supporting cast roles. The show opens April 21st, and tickets are 10$-30$.